Melt wax in a double boiler over medium heat. As the wax melts, add dye. If you are using the dye chips, you may want to chop the chip up into small pieces to aid in melting. Stir to blend well. Continue to heat wax to around 185°F until only a small chunk of wax remains. Remove from heat and add your fragrance oil and stir gently for two minutes. Allow wax to cool to 155-165. While wax is cooling, attach wick sticker to the bottom of the wick tab, and adhere to the inside of container, centering the wick in the middle of the container. Once wax has reached cooling temperature, carefully pour melted wax into container. Support the wick with a skewer or pencil, if necessary, and allow candle to cool completely. 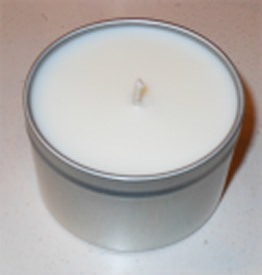 After the candle is completely cooled, trim the wick and let "cure" for at least 72 hours before burning. Sometimes, C-3 wax needs a second pour. If you are unhappy with the surface/tops of your candles and want a smoother look, you may want to reserve a small amount of wax and pour again after the top is mostly cooled, or use a heat gun to smooth them out. Now, that wasn’t too difficult, was it? Hope you had fun! Good instructions, easy to understand! !